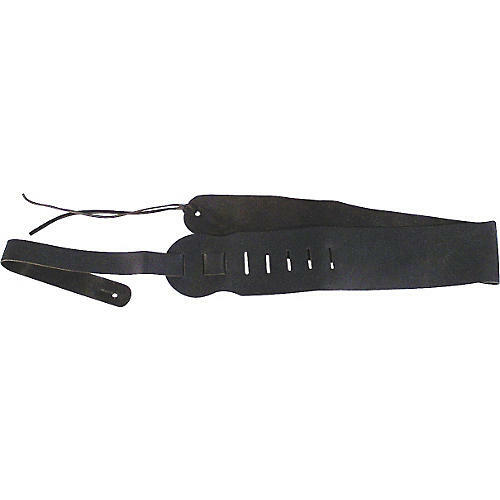 Your basic leather guitar strap. 3-1/2" wide so it lightens the load on your shoulder. 50" from strap button to strap button maximum length. Adjustable. Has thongs on one end for headstock fastening. It'll last forever. Order today.